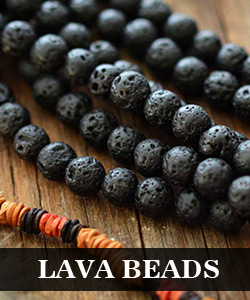 Summary: Do u love morning glory? 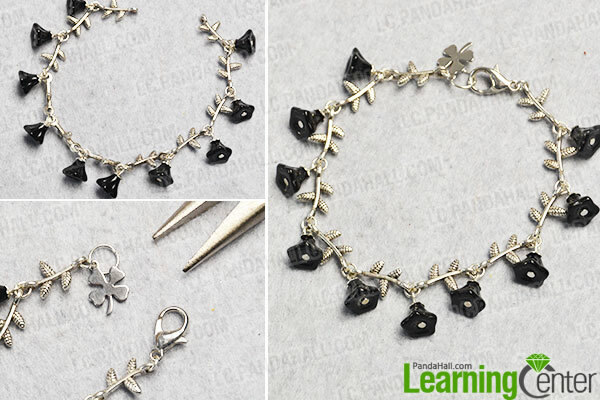 This tutorial is about how to originally DIY a morning glory charm bracelet step by step, and u can make the bracelet at home after this instruction. 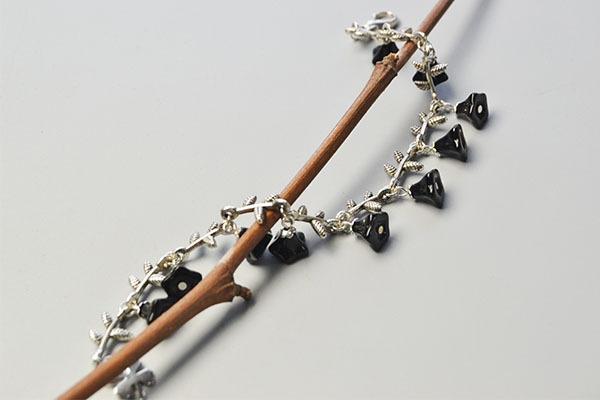 This charm bracelet mainly has black morning glories together with other elements of silver leaves and clover charms, flower and leaves make this bracelet alive and its perfect for the spring now. 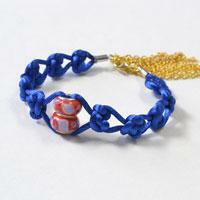 Follow this tutorial to finish the bracelet together. 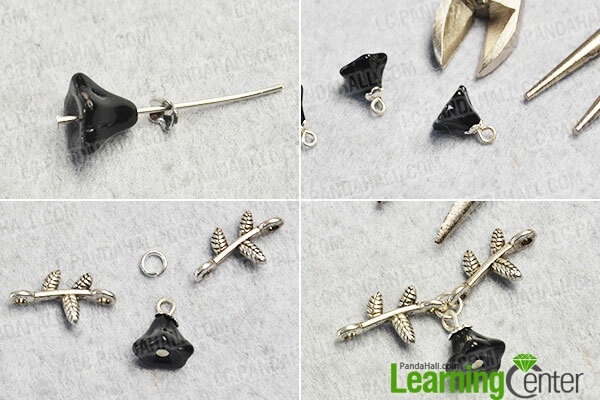 3rd, Add a jump ring to attach the flower charm onto the 2 Tibetan style links (as shown in the picture) . 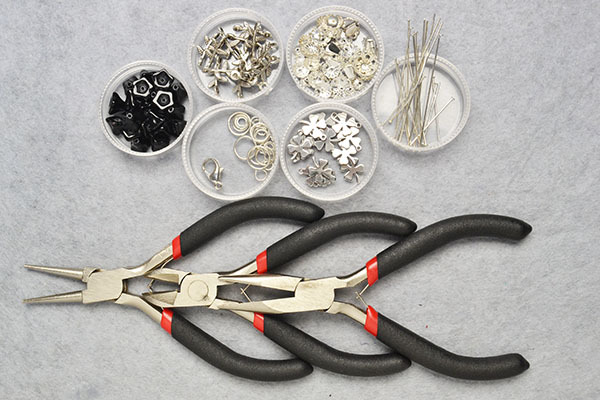 3rd, Add a big jump rings to this end, while add a lobster claw clasp to the other end, then the morning glory charm bracelet is finished. 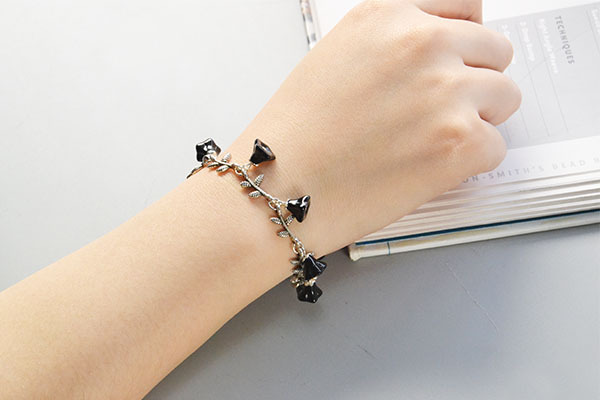 Hey dear, the black morning glory charm bracelet has been finished, believe that you will be pleased upon seeing this charm bracelet made by your own hand, don’t hesitate, let us do together!